CORK County Council is planning to develop walkways, landing areas and information boards as part of the first phase of developing Spike Island as a major tourist destination. County manager Martin Riordan, who has been the driving force behind the local authority’s takeover of the facility, said his first priority is to get as many Cork people as possible to visit the island, which formerly housed a prison. "For the first one or two years we will focus on providingaccess," Mr Riordan said. Brendan Touhy, former general secretary at the Department of Communications, Marine and Natural Resources, is to chair a group which will oversee what is expected to be a 15-year development of the island as a major tourist attraction. "We hope that the group will also include the Port of Cork, Fáilte Ireland, the Naval Service and representatives from the harbour communities. "I hope the group will have its first meeting in the early autumn, at which stage it will start working on a grand vision," Mr Riordan said. County architect Denis Deasy and Nicholas Mansergh, a senior council planner, are also working on the project. Mr Mansergh is also involved in creating a tourism plan for the whole harbour. Mr Riordan said it was hoped to tie in Spike Island with the Queenstown Project for the 100th anniversary commemoration of the sinking of the Titanic in 2012. "The Port of Cork is very anxious to have other attractions in the area to hold onto tourists and Spike Island would be ideal for this. "There is also huge potential for the proposed CAT ferry to open up the whole harbour for tourism," he said. Mr Riordan said the next few years will be spent on labour-intensive projects to make theisland tourist-accessible. The work is likely to be carried out through social employment schemes. Hendrick Verwey, chairman of Cobh Tourism, said the handing over of Spike Island to the county council was a welcome move. "The economic benefits to the entire Cork region of having a world-class attraction in Cork Harbour should not be underestimated. The prospect of Cork families having their own ‘Phoenix Park’ on an island in one of the finest natural harbours in the world is also exciting," Mr Verwey said. Members of Cobh Tourism, along with other groups such as Junior Chamber International, Cobh Town Council, Cobh Chamber, the Great Island Historical Society and East Cork Tourism have played an integral role in the Spike Island Heritage committee. The committee, under the chairmanship of local historian Michael Martin, mounted a well orchestrated and concerted campaign in 2006 to highlight the history of the island and its tourism, cultural and amenity potential. Mr Martin said thedecision to transfer ownership to the local authority could become one of the most important milestones in the development of the whole harbour area as an international iconic site, attracting vast numbers of visitors to the region. "The diversity of history on Spike Island is an international treasure," said Mr Martin. "The willingness of government to release it and the county manager to take it on has to be commended." RESIDENTS at a troubled flats complex have voted decisively for its demolition and the development of a new estate. The results of a consultation process at Dolphin House, located in Dublin’s south inner city, will now lead to the drawing up of a "master plan" by Dublin City Council (DCC). But council manager John Tierney told residents at Dolphin House, the second largest public flats complex in the country, the redevelopment would take time. Dolphin House came under the spotlight three months ago when a local drug dealing gang subjected residents to a campaign of intimidation. This was in retaliation to an intensive garda operation in the complex which forced the gang to move its business elsewhere. During the intimidation, 29 residents had their cars damaged, threats were daubed on walls, a community meeting was interrupted by a bomb scare and local activists were targeted. A consultation report, Dolphin Decides, published yesterday found 82% of the 920 residents wanted significant regeneration, with 67% opting for full demolition. Some 70% of residents wanted to stay in the estate and 65% said Dolphin’s greatest asset was its neighbours. The process was carried out by the Dolphin House Community Development Association (DHCDA) after it secured agreement from DCC for resident consultation before any redevelopment. * much of the physical fabric of the estate is poor, especially Dolphin Park’s housing for the elderly, which falls "below any minimum standards"
* there is a "serious problem" of waste clogging up baths, showers, sinks and toilets leaving them unusable for hours and "sometimes days"
DHCDA chair Jim Lawlor was it was vital the report’s findings were implemented. Mr Tierney welcomed the report, but added: "I’m not going to stand here today and kid you, that in these financial times that delivery is going to be easy." But he said a project architect would be appointed this autumn. Resident Debbie Mulhall, a mother-of-two, said: "There’s a good vibe about this redevelopment. It will take time because of the recession, but the community need it to work." Resident Veronica Lally said: "I hope the report is implemented. I really hope this time we are not let down." The report was launched during the Dolphin House annual summer festival. PLANS TO redevelop Dolphin House, one of Dublin’s largest and most troubled flat complexes, are to get under way in the autumn, according to Dublin city manager John Tierney. Mr Tierney said he planned to appoint an architect in the coming months to begin the development of a master plan for the regeneration of the 1950s flat complex on the Grand Canal in Dolphin’s Barn. The council intended to plan for the estate’s regeneration, despite cuts in public finances and the collapse last year of regeneration projects in five similar flat complexes in the inner city. “One of the things we’ve learned from the past is that the level of preparation done in the down times is critical when an upturn comes . . . I’m hopeful that the Government will prioritise regeneration in the future,” Mr Tierney said. He said he could give no date for when the redevelopment of the complex would begin, but the council would do everything in its power to ensure that Dolphin House was regenerated. Mr Tierney was speaking at the launch of a report from the Dolphin House Community Development Association, which found that more than two-thirds of people living in the flat complex wanted it demolished. With about 920 residents, the complex is second only in size to Ballymun. For more than 20 years, the estate has been blighted by drug dealing and other serious crime but the report found that the majority of people wanted to stay in the estate. “Regeneration of Dolphin House and Dolphin Park offers the potential to end a cycle of poverty and social disadvantage in this large community,” Rory Hearne, regeneration worker with the development association, said. Now was the ideal time to regenerate the estate, he added, as the costs of reconstruction were much lower than in recent years. The report found that 82 per cent of residents want significant regeneration, with 67 per cent wanting full demolition and 70 per cent wanting to stay in the estate. They said tackling the social problems of the area must be given as much time as dealing with the physical makeover and called for no delays in the regeneration. LANDOWNERS LIVING next to the ancient monastic site of Clonmacnoise in Co Offaly fear that if it is awarded world heritage site status their freedom to farm and build in the area will be severely restricted. A public information meeting on the zoning of land in counties Roscommon, Offaly and Westmeath as part of the planned designation of Clonmacnoise takes place in Athlone this evening. The Department of the Environment, Heritage and Local Government announced early this year it was applying to Unesco for world heritage status for Clonmacnoise. An extensive “buffer zone” around Clonmacnoise has been proposed as part of the department submission. This incorporates tracts of land in counties Offaly, Roscommon and Westmeath. Offaly councillor Connie Hanniffy (FG) said residents living in the locality were very worried. The local community “have been the custodians of the place and they have co-operated and this has been foisted on them”. Cllr Eamon Dooley (FF) agreed there was a lot of concern locally but he believed most of the concerns would be appropriately dealt with during consultation. If the cost was too high, the local community would not accept the proposals, he said. Shannonbridge native Cllr Sinead Moylan Ryan (FF) questioned the scale of the proposed buffer zone, claiming it would increase the original core protective zone ten-fold, from 200 hectares to more than 2,000 hectares. In Co Westmeath, Irish Farmers’ Association chairman Paddy Donnelly said his members were meeting to discuss the issue. He had received calls from farmers who fear there will be “widespread implications” if the draft measures are imposed. The farming community along the banks of the Shannon in Westmeath were worried there could be restrictions in cutting hay and allowing animals out after they have been dosed. Roscommon-based TD Denis Naughten (FG) has urged local farmers to attend today’s public meeting, which is being hosted by the department at the Athlone Springs Hotel, and starts at 7.30pm. “Over the last number of years we have witnessed the department designate large tracts of land, placing serious restrictions on farming practices and development,” said Mr Naughten. To date there are two world heritage sites in the Republic: the Brú na Bóinne archaeological complex which was added to the Unesco list in 1993, and Skellig Michael which was added in 1996. Apart from Clonmacnoise, the department has seven other sites on a “tentative” application list: Cashel, Céide Fields, Clara Bog, Killarney National Park, North West Mayo Boglands, the Burren and the Western Stone Forts. PLANNING PERMISSION has been granted for a €60 million private hospital which is due to be constructed alongside Jurys Hotel on Lancaster Quay in Cork city. O’Callaghan Properties has already built a new hotel for Jurys and some 175 apartments on the five-acre site. However, the company has dropped plans to build additional apartments in favour of developing the new private hospital. Property developer Owen O’Callaghan’s 100-bed five-storey project will create 300 full-time new jobs in Cork and could be operational by autumn 2010. In all, 350 construction jobs are also to be created. The hospital will include surgical day beds and recovery beds, intensive care, an oncology ward, physiotherapy facilities and a cafeteria. O’Callaghan Properties believes that the Lancaster Quay/Western Road site is the premium location for a private hospital in Cork city because it is close to a number of existing hospitals and clinics, it is near University College Cork and ample on-site parking has already been created. The plans for the site were lodged in May and Cork City Council gave the go-ahead yesterday. However, conditions were attached including a development contribution of close to €1 million. Architects for the site are Henry J Lyons and Partners, with support from an international healthcare operator, backed by a European private equity fund. The plan has the support of several national and international healthcare operators, including the Health Partnership, which was involved in developing Dublin’s Beacon Hospital and Waterford’s Whitfield Clinic, and is developing the Wyndale Clinic in Letterkenny, Co Donegal, as well as the Wellwood Clinic in Tullamore, Co Offaly. The new hospital is within walking distance of the Bon Secours Hospital on Cork’s College Road where planning permission was granted in April, for a €100 million expansion, by An Bord Pleanála . The current proposal from O’Callaghan Properties is the latest in a series of private hospital initiatives in Cork and follows an application by the Beacon Medical Group to establish a €242 million private hospital on the grounds of Cork University Hospital. DUBLIN CITY Council is opposing plans by Iarnród Éireann for a €100 million redevelopment of Tara Street station in Dublin, including the construction of a 15-storey office block on the site. The two State bodies are also at loggerheads over the payment of development contributions and a levy to fund the Metro North in the event of planning permission being granted. An Bord Pleanála yesterday began an oral hearing into Iarnród Éireann’s plans to redevelop the Dart and mainline station, the second-busiest in the country. The semi-State aims to fund the new station through the development of the office block by seeking development partners if it obtains planning permission. The development includes a glazed three-storey concourse and 10 storeys of office accommodation employing a “grain of rice” or “ship-shape” motif. Iarnród Éireann says the design by Canadian architects Adamson Associates will provide a “dramatic arrival point” for travellers to Dublin. “The concourse will be a place of light, bustle and activity, an interchange point which looks towards the historic core of Dublin and the Liffey quays to the west, yet which is itself visible in all of its activities from the adjacent streets and from the wider city,” according to Iarnród Éireann. However, the council, in its observation to the board, has likened the proposed tower to “a large slab form” sitting poorly in the skyline. While not opposed to development on the site, it says the current proposal is not capable of being amended and should be rejected. The proposed development will reach 60.8 metres into the Dublin skyline, slightly higher than Liberty Hall and almost twice the height of the Custom House. Iarnród Éireann told the hearing, chaired by inspector Karla McBride, that the loss of any floors from the office tower would significantly reduce its commercial viability. A 10-year planning permission is being sought as construction is likely to take longer than the normal five years allowed. The Department of the Environment has also expressed concern about the proposed development and has called for the provision of a nesting platform for peregrine falcons as part of any planning permission. The development envisages the demolition of Tara House and other buildings but Kennedy’s pub, a four-storey protected structure on George’s Quay, will survive. Iarnród Éireann called on the board not to impose levies on the development to fund Metro North and to reduce the normal development contributions due to Dublin City Council as part of planning permission. Tim Richards, a surveyor with CIÉ, said the imposition of a levy to fund Metro North, as sought by the Railway Procurement Agency and the council, was inappropriate because it was not a pure office development. The imposition of a levy, estimated at almost €400,000, would place an “undue burden” on the development. Jennifer Noctor of the Railway Procurement Agency said the levy should be imposed as the development was within the prescribed area near the new Metro line, which would benefit the occupants of the commercial and retail units. Mr Richards also argued that development contributions due to the council should not be imposed in relation to the transport components of the plan. Tom Devoy of Iarnród Éireann said the Tara Street station was heavily congested at peak times and would not be able to cope with expected increases in passenger numbers in the future. The new station has been designed to cater for 14,500 passengers an hour, compared to the current morning peak of 6,000 passengers. Mr Devoy said the new design would make the station a far safer environment for passengers as well as providing better shelter for passengers on platforms. However, Iarnród Éireann does not intend to provide any toilets or bicycle parking in the station because of the “confined” nature of the site. Ms McBride said it wasn’t logical to expect cyclists to park their bikes at other stations if travelling from Tara Street. Mr Devoy said Tara Street was a vital piece of strategic rail infrastructure for Dublin and its redevelopment was vital to “future-proof” the station to meet future passenger needs. “A ‘do-nothing’ scenario is untenable,” he said. The application is similar to a previous one granted planning permission in 2001 but this was abandoned three years later because it would involve the temporary closure of the station. The latest application, which is being assessed by An Bord Pleanála under new fast-track planning procedures, permits the station to remain operating during works. 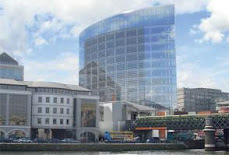 CIE plans to build a €100m office block development higher than Liberty Hall at Tara Street Station in Dublin. This morning, An Bord Pleanala will open a public hearing into plans by the company to redevelop one of the country's busiest transport centres, which would see a 14-storey office block built above the tracks on a 0.3 acre site. Our picture shows how the redesigned concourse will look if the project goes ahead. And CIE has insisted it was "confident" the development would go ahead, despite the current economic difficulties. Some 10 million passengers go through the station every year, and further growth is expected as Transport 21 projects, including the underground DART, come on stream. The 12-metre tall concourse area will cater for up to 14,500 passengers per hour at peak commuter times. To fund the development of the station, a landmark office development will also be included over the station, with an office space of 13,000sq m, which sees the overall height of the development total 60.8 metres. The scheme will be developed on a phased basis to permit the station to remain open during construction. DUBLIN City Council has been given permission to build a €15m public transport bridge over the Liffey. But the Marlborough Street bridge will only go ahead if Metro North gets planning permission and the Government decides to approve the multi-billion euro light rail system. The Department of Transport, which will fund the project, said work on the new bridge linking Marlborough Street and Hawkins Street would only begin once Metro North is approved by the Cabinet. The planning application for Metro North, which is with An Bord Pleanala, says that the Marlborough Street bridge will be used to reduce traffic congestion in the city centre when construction works begin. It will take 18 months to build and cost €15m. OLIVER Cromwell deemed the island a suitable place to house Irish prisoners awaiting deportation. Later, its prisoner population soared to over 2,000 in the 1850s. And during its modern peak two decades ago, it catered for 102 inmates, and was the site of a famous prison riot. Now Spike Island will be transformed into a tourist attraction, provided that the money can be found to do it. Tourism officials yesterday admitted they are "absolutely thrilled" that the island will finally become a centrepiece of efforts to turn Cork harbour into world-renowned visitor attraction. But transforming Spike Island into Ireland's version of Alcatraz is not without difficulties. Senior council members acknowledged they have "no idea" where the estimated €1m-plus in refurbishment costs will come from. However, Foreign Affairs Minister Micheal Martin said he was delighted by the move. He said: "I believe that it is important to unlock any tourism potential of (Spike) island to the immediate benefit of the region generally and I would like to thank all those involved." TRINITY COLLEGE Dublin has sought planning permission to convert the ground floor and basement of the former AIB bank in Foster Place, off College Green, into one of the city’s largest pubs – with 1,341sq m (14,434sq ft) of licensed space. The planning application, lodged on behalf of “The Provost, Fellows and Scholars of the University of Dublin, Trinity College”, envisages turning the double-height Victorian banking hall into a “restaurant and public house” extending back to Anglesea Street. Permission is also being sought for a shop on the Foster Place frontage, change of use from banking to education for the upper floors, and the removal of a 19th-century bank vault and all 20th-century alterations to the building, which is a protected structure. It is understood that the proposed pub would not be run by Trinity but leased to a publican or restaurateur in the event that permission were granted. The upper floors of the building would be converted to office space for university staff. The scheme is being opposed by Temple Bar Cultural Trust (TBCT), a subsidiary of Dublin City Council with a remit to manage the area as Dublin’s “cultural quarter”. It claims the creation of a “super-pub” on Foster Place would create a “drinking gateway” to Temple Bar. Its submission, drafted by Seán Harrington Architects, says there has been general agreement for the past 10 years that the large number, size and type of licensed premises in the Temple Bar area has been “problematic” and, for this reason, more pubs are effectively banned. Urging city planners to refuse permission, the submission notes that the council’s own policy in its development plan is “to avoid an over-concentration of large pubs in any particular area and to encourage the provision in the city centre of a mix of entertainment venues”. Concluding, the TBCT submission says its view of the Trinity College plan was that it would be “contrary to the aims and objectives of the Dublin City Council Development Plan 2005-2011 as set out above, and we would request that the application is refused permission”. A spokesman for the college, which bought the AIB building in 2001, could not be contacted yesterday. A decision on the application is due by August 26th. Gym supremo Ben Dunne has lost his appeal against a planned €15m nursing home close to his Northwood health and fitness centre in Ballymun. Dunne had said that there was a lack of room for hearses to remove deceased residents, amongst other objections. An Bord Pleanála gave the nursing home the thumbs up, subject to 12 relatively standard conditions. IN THE LATE 1950s, Kilkenny County Council abandoned a remote limestone quarry at Ballykeeffe, near the Tipperary border, that had previously been used for the extraction of road metal materials. Inevitably, in those less environmentally conscious times, the quarry quickly became a dumping place for car wrecks, washing machines and other rubbish and was also a repository for sugar beet awaiting transportation for processing. It would probably have continued unkempt and unremembered like thousands of worked-out quarries countrywide were it not for the fact that, in 1981, a new mountaineering organisation was established in Kilkenny. Not content with hillwalking alone, members of Tyndall Mountain Club were soon out seeking suitable crags for the challenging activity of rock climbing. Eventually, Tyndall member Don Roberts discovered the sheer 20m cliffs at Ballykeeffe quarry, which were conveniently located just 13km west of Kilkenny city. Scaling this ungenerous rockface required more than square-jawed determination – it also demanded a resolute insouciance, since it was first necessary to scramble over abandoned Opels, Fords and Toyotas, along with the decomposing leftovers of last year’s beet crop. More than a quarter century later, it’s a rare, blue-sky July evening in Ballykeeffe on which the sun seems reluctant to set. Large numbers of climbers are clearly having the time of their lives on the limestone crags above. A group of young people, perched atop the stone seats, have abandoned texting and become engrossed by the antics of the climbers. Cries of “on belay” and “take in” echo in the twilight air while an occasional dog walker ambles past, heading up behind the cliffs for a ramble in Ballykeeffe Wood and Nature Reserve. He adds that at times it was necessary “to first scare away the swarms of rats attracted to the rotting beet by tossing rocks in their direction. Our group went on to ascend all the then feasible routes in the quarry, including The Animal, which was first ascended by Brian Dunne and Ned Mahon.” The reference is to a 15m nail-breaker route that still ranks as a test piece for the best visiting climbers. Modestly, however, he fails to mention his own contribution, which is Kevin’s Corner, a very severe route that remains extremely popular. IN A COUNTY where the camán is king, rock climbing was a new and altogether different kettle of scarifying fish that was never likely to move centre stage – so initially the Ballykeeffe pioneers ploughed a lone furrow. Higgins believes that the efforts of the Tyndall members had some import on subsequent events, since they drew attention to the quarry and the idea that it could be used as an amenity for leisure purposes. “The quarry is now an outstanding example of co-operation between community, sporting and local-authority stakeholders,” he says, while crediting much of this success to the initial vision of local man Matt O’Sullivan. Praise for O’Sullivan’s initiative and hard work also comes from Padraic Flaherty, a Galway native who is presently treasurer of the Kilmanagh-Ballycallan-Killaloe Community Enterprise Group (KBK). He agrees with Higgins that the idea of turning the quarry into an amenity area was prompted by the example of the climbers. The seed planted by the Tyndall pioneers had now taken root. At the end of the last century ambitious plans were unveiled by KBK to turn Ballykeeffe into a multipurpose amenity while maintaining its role as one of Ireland’s leading rock climbing locations. With support from Tyndall, the community took charge of the quarry under licence from Kilkenny County Council, but only to within one metre of the cliffs, thus removing community liability for any possible climbing accidents. The rubbish, the beet and the car wrecks were removed; financial support of about €150,000 was obtained from State agencies, another €50,000 from the local community. Soon the once decrepit quarry was transformed into a unique auditorium representing one of Ireland’s most innovative community projects. But how did the idea come about? What persuaded a small, hurling-mad community in rural west Kilkenny to invest so much time and money in an ambitious project normally associated with sunnier climates? According to Flaherty, several ideas were considered, including an amenity lake in the quarry, but when landscape architect Desmond Fitzgerald was retained by KBK, he suggested an amphitheatre to take advantage of the spectacular setting and unique acoustics. “Some of us were already aware of the Minack Theatre, a very successful cliff-top amphitheatre in Cornwall, so we readily accepted the idea and you could say that Ballykeeffe is modelled on Minack,” says Flaherty. THE PASSAGE OF time has certainly proved the value of the idea. Ballykeeffe has become hugely popular as a venue for theatrical presentations and concerts, and performers such as Andy Irvine, Anúna, Kila, Cora Venus Lunny and Nóirín Ní Riain have praised the great acoustics and unique atmosphere. This summer’s amphitheatre programme begins tomorrow at 3pm with Cinderella – a family show presented by Chapterhouse Theatre Company. Over the August bank holiday weekend, choral group Anúna will perform on Saturday followed on Sunday by an outdoor céilí. Events continue in August with English rock band Oliver/Dawson Saxon playing on the 14th; and the summer programme concludes on the 15th with the Rafter Family’s mix of classical and traditional music. Ballykeeffe isn’t just a venue for concerts. It’s also been used for fun days, lectures, exhibitions and as a picnic and recreational facility by voluntary organisations, schools and outdoor activity centres. And the amphitheatre merits a visit in its own right. To soak up the atmosphere of the place just go along at a quieter time and enjoy the solitude of a walk in the Dúchas-managed nature reserve, followed, perhaps, by a picnic while watching the climbers in action. And at some stage it will surely cross your mind that this innovative community project represents an example of how modest amounts of taxpayers’ money have been spent to excellent effect. THE RATIONALE for the Affordable Housing Partnership should be reviewed in light of the changed conditions in the housing market, a report by the Comptroller and Auditor General has found. In a survey of affordable housing provision, the comptroller noted that the partnership, which was set up in 2005 to speed up the delivery of affordable housing in the greater Dublin area, had been a flexible tool that helped the Department of the Environment adjust housing policy in line with market conditions. Between 2005 and 2008, 85 per cent of the affordable homes target was achieved, and the output increased by about 4,000 housing units in the period 2006-08 by comparison with the previous three years. The department attributes almost 1,100 of this rise to the activities of the partnership, the report found. However, the stalled property market led to a build-up in the stock of unsold affordable housing units held by local authorities from 2,200 at the end of 2007 to 3,700 early this year. Affordable homes are subsidised by the State for eligible first-time buyers who do not have the resources to buy on the open market. The home is bought at a discount to the market price and it is a condition that the purchaser must occupy it. If it is sold within 20 years, the vendor has to pay back a percentage of the sale price (clawback) to the local authority. This clawback reduces over time. Under a new law passed earlier this month, the current clawback provisions are to be replaced with an arrangement under which the State would take an equity stake in the property. In a separate report on water services, the comptroller notes that, notwithstanding the department’s expenditure on the provision of drinking water (€869 million over the years 2002-2007), results of tests carried out by the Environmental Protection Agency (EPA) show “little significant improvement” in water quality. These tests, which measure whether drinking water supplies meet the minimum standards of fitness for human consumption, show that public water supplies have been static at 98 per cent of the minimum standard, while private water scheme compliance has improved by two per cent to 95 per cent. They also detail continuing problems in areas such as E.coli contamination and cryptosporidium. The comptroller noted that the EPA’s mandate was strengthened in March 2007 and it has become the supervisory authority for water quality with enforcement powers. This resulted in an increased emphasis on monitoring and control procedures at local authority level and the compilation of a national remedial action list of 339 public water supplies requiring immediate action. “It is reasonable to expect that the impact of this remedial programme will be reflected in a significant improvement in the measured compliance standards for public supplies,” the report states. WICKLOW COUNTY Council has granted planning permission for the expansion of a quarry which it is currently prosecuting for operating outside the planning laws. O’Reilly Brothers quarry at Ballylusk near Ashford was found to be operating without planning permission, and not to be exempt from the requirement for planning permission, by An Bord Pleanála in July 2003. A subsequent appeal by O’Reilly Brothers was unsuccessful in a High Court judgment in November 2006. Wicklow County Council subsequently began enforcement proceedings against the company, in the Circuit Court, under Section 160 of the Planning and Development Act, seeking orders to restrain O’Reilly Brothers from continuing unauthorised activity at Ballylusk. But the quarry had continued operating, with gardaí on hand on a number of occasions to supervise the use of explosives for blasting. Gardaí also assisted in removing a neighbouring property owner who refused to leave his property during blasting. Last December the council’s director of services for planning Des O’Brien told The Irish Times the council was not in a position to “simply put a chain on the gate” of the quarry but had to go through the courts to achieve enforcement orders. The Courts Service yesterday confirmed the council’s enforcement action was still listed for hearing. However, earlier this month the council approved an application from O’Reilly Brothers for the expansion of current operations, including an increase in the rate of extraction and processing up to a maximum of 60,000 tonnes per year. It also approved retention of a 19 sq m canteen, continued importation of up to 300 tonnes of stone per week, as well as crushing and screening. Also approved was provision of a wheel cleaning unit, settlement lagoon and hydrocarbon interceptor in addition to a new effluent treatment system and improvements to the existing quarry entrance. The 25-year-permission was subject to 31 conditions in relation to pollution prevention and monitoring, definition of the site, road cleaning and warnings of blasting, as well as financial consideration payable to the council and restoration of the site among others. A spokeswoman for O’Reilly Brothers said no comment was available yesterday, nor was one likely. Wicklow County Council said its enforcement case remained live, at least until after the time for appeals to the council decision. Subject to no appeals, the spokesman said the permission “would regularise the situation”. A PROPERTY development company which was last year fined €1,000 for illegally demolishing a 19th century convent in south Dublin has received planning permission to redevelop the site. Kimpton Vale Ltd, controlled by developer Laurence Keegan, received approval from An Bord Pleanála for 32 houses and 15 apartments. The 1.26-hectare site, off the northern side of Terenure Road, is just west of Presentation school. It comprises the footprint of the former convent building and its recreational grounds. The site is bounded to the northeast by housing on Eaton Square. Kimpton Vale pleaded guilty at Dublin District Court last September to illegally demolishing the convent on November 4th, 2006. The council was considering plans to make it a protected structure at the time. A charge against its principal Mr Keegan was struck out. In recommending that An Bord Pleanála uphold Dublin City Council’s decision to grant permission,planning inspector Peter Gillett described the area as an established suburb with a good range of community and residential support facilities. The board also said its decision had regard to the residential zoning of the site, the design, density and layout of the proposed development, and the pattern of residential development in the vicinity. The board imposed conditions including that an archaeological survey of the lands be carried out before building, that agreement on landscaping and screening be reached, and that hours of construction be restricted to 7.30am-6pm. The decision to approve the development was criticised by Labour Party TD Mary Upton. “The decision by An Bord Pleanála to grant planning permission to a developer which was convicted for illegal demolition of a habitable dwelling makes a mockery of the existing planning legislation in the State,” Ms Upton said. Describing the fine to the development company of €1,000 as “paltry”, she said it was to combat such situations that she had introduced a new planning and development Bill last year. “This Bill would have precluded anyone found guilty of breaching planning permission or the planning and development Acts from being involved in construction for a five-year period. It would also have ensured that cases would have to be tried in the Circuit Court at a minimum, and not the District Court as is currently the case,” she said. Ms Upton welcomed the fact that the Planning and Development (Amendment) Bill 2009 “takes on board the broad thrust of my argument”. She said it stopped short of “a real sanction on developers”, and called on Minister for the Environment John Gormley to amend it. Madam, – The Tánaiste Mary Coughlan shows a worrying disconnect with reality when she referred to “architects” as being a sector which had yet to feel the “chill winds of economic reality” (Front page, July 21st). As has been widely reported, more than 40 per cent of architects have been made redundant. The Royal Institute of the Architects of Ireland has a significant number of members on Job Seeker’s Allowance or paying reduced charges because of financial hardship. Many architects in employment have experienced pay cuts and three-day weeks. How chilly does it have to get to reach the Tánaiste’s attention? For public sector projects the Tánaiste should be aware that architectural services are procured on a competitive basis in accordance with EU and Department of Finance procedures. She must also be aware that architects don’t have recommended, mandatory or minimum fee scales. On the Competition Authority Report, I would expect the Tánaiste or her officials to have read the report or at least the executive summary before making a public statement,because the report was very clear: “the Competition Authority has only a small number of concerns about how the architectural profession operates in Ireland. Unlike some other professions reviewed by the Competition Authority, architects are not restricted by layers of unjustified or disproportionate restrictions or competition. Competition seems to be working well for consumers of architectural services and the economy as a whole”. The Tánaiste might be better employed in examining the widespread evasion by some Government departments and State bodies generally of prompt payment legislation and why her recent announcement of a 15-days payment period by Government was greeted by incredulity among architects. Madam, – I write in relation to the extraordinary comments attributed to the Tánaiste regarding the “economic conceit” of certain professions during this time of unprecedented economic crisis. I am particularly concerned about Mary Coughlan’s ill-informed reference to architects and engineers in the context of failing to face up to economic and competitive reality. In her role as Minister for Enterprise, Trade and Employment, I would have expected even the most basic level of awareness of how these and other construction industry professions have been decimated over the last 12 months and the arid landscape that still lies ahead in this sector. As a director of an architectural and project management company which is enduring the “chill winds of economic reality” during this Government’s watch, our business has reduced from a peak of 81 employees in August 2008 to 27 staff in July 2009. Remaining staff have accepted pay cuts of 30 per cent and short-term working, as a further measure to address this downward spiral. Our situation is far from unique in the construction sector, with other solid companies forced out of business due to the “chill wind”. Madam, – In response to the Tánaiste’s references to the architectural profession in Ireland, I write on behalf of one of the oldest architectural practices in Ireland, which was founded in 1947 by my late father-in-law, John Thompson, over 60 years ago. We are currently a third-generation practice, which, over the years has employed hundreds of people in Limerick, Dublin and for a short time in Cork. We have seen several “downturns” in the market and have managed to survive by dint of hard work and commitment to both our staff and clients. Our numbers have gone, in a 12-month period, from 29 people employed in 2008 to 12 today – the lowest number of employees in the company’s history. All the current staff are on a three-week on/one week off (since February of this year) in an attempt to save those remaining jobs. The three directors have all taken a pay cut of up to 25 per cent even though all are continuing to work extremely long hours. We are doing our best to try to save the jobs and the firm in the face of unbelievable odds. It is particularly galling that at such a time the Tánaiste sees fit to make comments such as those enunciated at the MacGill Summer School. I refer to an apparent lack of knowledge of the Competition Authority’s comments specifically relating to the architectural profession. Madam, – With regard to the Tánaiste’s comments referring to architects, among other professions, as being yet to feel “the chill winds of economic reality”, I would like to ask what planet is she living on? As a young architect in Dublin, I find that the majority of my fellow architects are out of work, have been for several months, and have little or no prospect of finding employment in this State or any other any time soon. I consider myself extremely lucky to still be employed, albeit on a part-time basis. Madam, – I was surprised to see that the Tánaiste, Mary Coughlan, believes that architects and engineers have yet to feel the “chill winds of economic reality”. The Royal Institute of Architects in Ireland estimated the unemployment rate among architects at over 40 per cent last December. In the time since this estimate the situation has deteriorated severely. Several high profile architectural practices have gone into examinership and liquidation. The majority of those architects that have kept their jobs have taken pay cuts ranging from 10 per cent to 40 per cent, are working a three-day week or are taking regular unpaid leave. Fee bidding has been commonplace among architecture practices since the abandonment of recommended fee scales by the RIAI in the early 1990s, and is currently at a level that is approximately one tenth that believed to be the case by the Minister for Education, Batt O’Keeffe ( Irish Times September 25th, 2008). Madam, – The reference by the Tánaiste Mary Coughlan at the MacGill Summer School that architects and engineers have to feel the “chill wind of economic reality” is simply astonishing . Given that architects and engineers submit the vast majority of planning applications to planning authorities and these planning authorities in turn are experiencing a drop of some 50 per cent in the receipt of applications, the evidence is manifestly clear that it is the Tánaiste who is not in touch with reality. Madam, – I cannot help but smile at the irony of our Tánaiste Mary Coughlan’s call on the professions to reduce our fees. This coming from a Government whose members are grossly overpaid and whose leader is paid more than the president of the US – not to mention unvouched expenses and Ministerial pensions paid to sitting TDs. THE SUPREME Court has cleared the way for a development of houses, shops, a creche and a medical centre at Ballymore Eustace, Co Kildare. The five-judge court yesterday upheld arguments by Abbeydrive Developments Ltd that it was entitled to a default planning permission for the proposed development because of the failure of Kildare County Council to decide on its planning application within the eight-week period set down by law. Abbeydrive applied for the permission on December 2nd, 2002, and, unless there was a request served for further information, the eight-week period expired on February 5th, 2003. A notice for further information was served by the council a day later. Abbeydrive argued in the High Court that the council’s failure to decide within the eight-week period entitled it to default permission but Mr Justice Roderick Murphy rejected that argument. Abbeydrive appealed that 2005 judgment to the Supreme Court which yesterday allowed the appeal. It adjourned the issue of what order should be made in the case. Mr Justice Nial Fennelly said the dispute in the appeal arose from the nature of the proposed development. While almost entirely residential, it also included a very small two-storey community facility comprising a creche, neighbourhood shops and a medical centre. That facility represented some 0.2 per cent of the total floor area of the proposed development. The judge noted the relevant zoning area in the Co Kildare development plan 1999 was described as “solely residential” but the council’s senior planner had accepted this proposed development was “open for consideration”. The judge said Article 34.8 of the Planning Act 2000 provided a default that permission could be granted where a planning authority had failed to make a decision within eight weeks. Mr Justice Fennelly ruled that the High Court had erred as a valid permission could have been granted through an exercise of discretion by the council in favour of Abbeydrive. It was not open to the High Court to impose a limitation on the effect of Article 34.8, except on the basis of legal power. THE DÚN Laoghaire Harbour Company has denied claims that it intends to pull down the historic Carlisle Pier and sell off the harbour to private developers. The claims were made yesterday by Dún Laoghaire-Rathdown county councillor Richard Boyd Barrett. Cllr Boyd Barrett of the People Before Profit Alliance said the company intended to demolish the buildings on the pier without any public consultation. “It is clearly no coincidence that moves to demolish the pier have commenced during the holiday period when the harbour company knows it will be harder for concerned members of the public to mount opposition,” he said. However the company said that it was not demolishing the pier but had to remove certain derelict buildings because they were unsafe and included asbestos materials. None of the buildings being demolished was a protected structure, the company said. The company also denied Cllr Boyd Barrett’s claims that it intended to sell the harbour to ferry company Stena Line. Cllr Boyd Barrett said yesterday the company was involved in discussions with Stena Line where the sale or handover of the whole harbour was one of a number of options being discussed for the harbour’s future. “It is totally unacceptable that profit-driven interests should seek to interfere with the public’s harbour or any part of it without public agreement or even worse try to privatise it. “The public should express their outrage at this disgraceful conniving behind their backs and demand that the harbour remains fully in public ownership and is developed only in the public interest,” he said. The company said it was not involved in any discussions on the sale of the pier other harbour. “There is no foundation in the claim that Dun Laoghaire Harbour Company plans the sale or handover of the harbour to any third party. There are no plans for the privatisation of the harbour,” said the company. Carlisle Pier, site of the old mailboat terminal, has been the subject of several redevelopment schemes over a number of years, all of which have fallen through. The most recent redevelopment scheme collapsed in May 2008 when the preferred bidders pulled out of the project. A spokeswoman for the harbour company said it would now wait to see the county council’s new development plan, which is being drafted, before making any new redevelopment proposals for the pier. A planning application for the complex by Castleisland businessman Tony Walsh has been turned down by Kerry County Council, but councillors are continuing to support his efforts to get the green light. Kerry mayor Bobby O’Connell, who lives in Castleisland, said his hometown had received very little from the Government or the IDA, and a shopping development would help create much-needed employment. "It is believed about 60% of shopping business from Castleisland is being haemorrhaged to Tralee. That’s a huge loss to Castleisland and can’t be allowed continue," he said. The issue was raised at this week’s county council meeting by Independent councillor Brendan Cronin who proposed a 3.2-acre site at Tralee Road, Castleisland, be rezoned from industrial to retail in order to facilitate Mr Walsh’s development. Mr Cronin said the council had set a precedent for retail development on two sites directly across the road from the site. "I believe this site [Mr Walsh’s] is ideally located. It is close to the town centre and is inside the route of the new bypass. There’s a huge need in Castleisland for this type of development," he added. 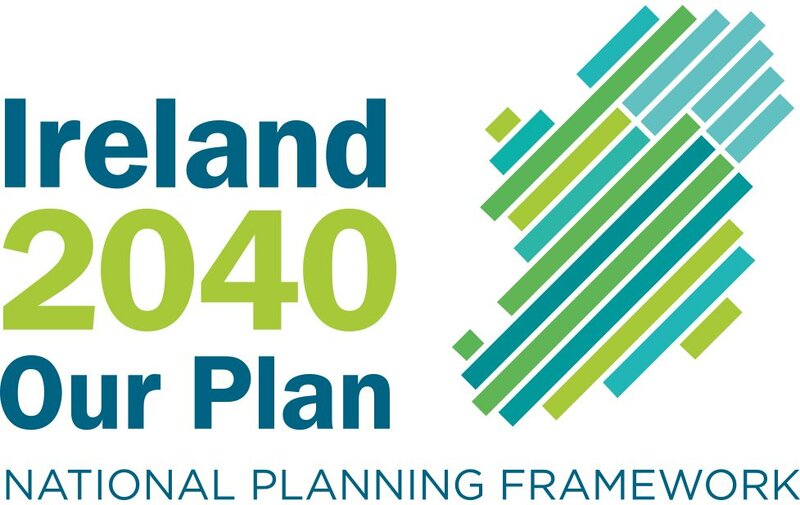 However, senior planning engineer Tom Sheehy said the Castleisland local area plan (LAP) was under review and it would be inappropriate to consider individual rezoning proposals in isolation from the overall strategy for the town. "It would not be the best procedure to have a proposal to vary the zoning going on at the same time as a review of the plan. It would not make sense," he stated. Mr Sheehy also said there were three alternative sites that might be more appropriate for retail development in Castleisland and would make it more competitive for retailers to come in. Mr Sheehy also suggested it would be in Mr Walsh’s best interests to have rezoning application considered as part of the LAP review rather than as a motion before the council. After some councillors consulted with Mr Walsh, it was agreed to include the rezoning proposal in the review of the Castleisland LAP which has gone on public display in the town this week. BRAY SEAFRONT is in for a major facelift with multi-million euro plans to redevelop both Dawson's and the Star amusements with shops, restaurants, apartments and a crèche. Owners Brian and Gerry Freeney said the development may do for the southern end of Bray Seafront what the Pavillions Scheme has done for Dun Laoghaire. 'At best we would hope for work to start in around a year and a half after the planning process,' said planning consultant Brendan Buck. He added that construction would be expected to take around two years. 'The Freeneys would make every effort to employ local people through the whole process,' he said. The owners, who have lodged two planning applications with the town council, plan to demolish the currently empty Dawson building and replace it with a mixed use development. The Star building is to be retained and renovated to coordinate with the adjoining Dawson's scheme. Bray Town Council designated the sites 'opportunity sites', back in 2004. In a statement, the owners said that the benefits to Bray would be significant and include addressing the currently derelict and 'unattractive' Dawson's building, providing employment, and making Bray more attractive for new residents and tourists. Mr. Buck added that the Freeneys and their team have been working on the plans for the past four years. While admitting that the plans do contravene the Bray Development Plan, Mr. Buck said that they will be actively seeking a material contravention. He explained that under standard B2 zoning they would fall just about in accordance with the plan but that the unusual 'opportunity status', put some restrictions in place that actually make the process slightly more difficult. A scale model of the development is on display in Bray Town Council offices. Shell EP Ireland has written to individual Erris fishermen stating that it will honour its 'undertaking' in relation to minimising harmful emissions from the Corrib gas refinery into the marine environment. However, the Erris Inshore Fishermen’s Association says it intends to seek a meeting with the Environmental Protection Agency, following advice given in talks with three Government Ministers and two junior ministers in Dublin recently. The association’s unhappiness with the company’s delay in seeking to change the emission licensing terms was one of a series of issues raised with the Government delegation at a recent meeting. Minister for Energy Eamon Ryan, Minister for Community, Rural and Gaeltacht Affairs, Éamon Ó Cuív and Minister for Agriculture and Fisheries Brendan Smith - along with Minister for State for Natural Resources Conor Lenihan - attended the talks, which were facilitated by Minister of State for Enterprise, Trade and Employment and Mayo TD, Dara Calleary. The Minister for Transport, Noel Dempsey TD has launched a €50 million national competition aimed at funding and delivering innovative examples of sustainable travel in urban and rural areas right around the country. The purpose of the competition is to help people to leave their cars at home when they can and for them to opt instead to walk, cycle or use other more sustainable forms of transport, particularly for short journeys. The Department of Transport-run competition is open to Local Authorities to submit proposals for developing sustainable travel systems in rural areas or towns. The Minister is committing €50m over five years from 2010-2015 to fund the successful projects that are chosen through this competition. Speaking to Local Authority Sustainable Travel Officers and City and County Managers at the launch of the National Competition in the Royal Hospital in Kilmainham, Minister Dempsey said - “Too often, our transport solutions have been narrowly designed and have looked at the private car as the primary means of moving people around. "Today, that focus on the car has to change - I want this competition to help us deliver more people-focused travel and transport systems nationwide. There are many people who would often like to leave their car at home and maybe walk or cycle to work or school if they felt that it was safe and easy to do so. Indeed, there are people who might want to walk or cycle for part of their journeys in combination either with public transport or the car. * Tailored public transport services, such as demand responsive services. Smarter Travel Areas will provide an opportunity to demonstrate the benefits of sustainable transport, promoting and encouraging walking and cycling and reducing car travel, by improving travel facilities and promoting and encouraging behavioural change. In this competition, preference will be given to Local Authority bids that develop proposals around community-based networks, involving local businesses, schools, retail centres, etc. Initial bids should be submitted by Local Authorities to the Department of Transport by October 30, 2009. Those shortlisted will be invited to submit full proposals and business cases by end March 2010. The winners will be announced in May 2010 with funding beginning in June 2010. The competition follows on from the publication of the Government's new transport policy in February 2009 - Smarter Travel: a sustainable transport future. The College Green Bus Corridor comes into effect on Monday July 27th. It will restrict traffic through College Green during the morning and evening peak traffic periods from Monday to Friday. The scheme will operate from 7am - 10am each morning and from 4pm - 7pm each evening. During these periods, only public transport vehicles and bicycles will have access to the College Green location. It will not be in operation on Saturdays or Sundays. The aim of the scheme is to significantly reduce journey times for cross-city public transport and allow for increased reliability and frequency. In addition, electronic message signs will be put in place on key city centre routes to assist car users during the introduction of the scheme. The College Green Bus Corridor is a natural progression in traffic management in Dublin City. Access to the city for public transport users will be significantly eased as a result of the implementation of this scheme. Ready access to all of the city and its car parks will be maintained at all times, ensuring that private car users and business traffic will continue to be facilitated. The company behind the Liffey cable car proposal has the money in place to fund the project, it has been revealed. Despite the difficult economic conditions, the Liffey Cable Car Company is ready and able to proceed with the €52m 'Suas' scheme - and the firm is even planning similar projects in other cities in Ireland and in New York. The ambitious proposal would see cable cars gliding over the Liffey at heights of 80 metres. All the company needs is the go-ahead from Dublin City Council after it lodges a planning application and it can proceed, said Paddy Duffy, who has been working with the company on the plans. The tourist attraction, which is inspired by the London Eye, is the brainchild of developer Barry Boland. "Mr Boland is not looking for any public money at all. He has the sizeable amount of money necessary for the project already in place" - Mr Duffy said. "The next step would be to approach Dublin City Council to see if the officials will support it. That is where the project is at the moment" - he added. The company is looking to hold pre-planning consultation meetings with the local authority. If given the go-ahead, Suas will run from Heuston Station to the Docklands. A presentation of the plan was made to the economic special policy committee earlier this year and was well received by councillors, Mr Duffy said. "The team was very heartened by the positive reaction of the engineering committee of the council when they presented it to them" - he added. MOTORISTS have been warned to plan ahead to avoid traffic chaos when private cars are banned from one of Dublin's busiest streets during rush hour. Traffic chiefs believe re-routing drivers away from College Green from next Monday will open up the city for more business. Some 60 million public transport passengers pass through the bottleneck each year, skirting Trinity College and linking Dame Street and Westmoreland Street. Up to 7,000 drivers a day will have to find an alternative route as only buses, taxis and bicycles will be allowed through College Green between 7am and 10am and 4pm and 7pm, Monday to Friday. The change will see bus journeys reduced by up to 30 minutes, and the city council says the ban will cut traffic congestion, delays and safety issues for pedestrians, which are a "recognised problem" there. "It is an unsustainable and unsatisfactory position for all its users, be they bus passengers, taxis, cars, pedestrians and cyclists," Tim Brick from the city council said yesterday. "The benefits of the measure will be reliable, quicker journey times for public transport users, safer pedestrian movements and better access for commuters, shoppers and essential business traffic. "The key message here is that Dublin city will remain open and accessible to the greatest number of people. The College Green scheme is a measure that had to happen." More than 4,300 Dublin Bus vehicles pass through the bottleneck every year, carrying 10 times the number of people travelling by private car. Dublin City Council says that 12,883 cars use the College Green route each day, with almost 7,000 of these travelling at peak times. Temporary electronic signage will be in place to direct drivers around the capital and satellite navigation systems will be updated. Access to car parks will be maintained, but routes to some will be altered. Dublin traffic corps Superintendent Frank Clerkin said motorists had a week to pick alternative routes, which are available at www.transportfordublin.ie. Breaking the ban will incur an on-the-spot fine of €60, which, if left unpaid, rises to €90. "For the first number of days the gardai will use a certain amount of discretion, but that's not to say they won't be enforcing the bus lane regulations," Supt Clerkin warned. The Department of the Environment yesterday said a Fine Gael TD appeared to know little about the workings of the Oireachtas when he issued a statement criticising the restoration of the lawn at Leinster House. Alan Shatter had called for an immediate stop to plans to restore the lawn, parts of which were removed 10 years ago to provide parking spaces for politicians, public servants and journalists. Mr Shatter said the project will cost €230,000 plus an additional annual expense for the rental of parking spaces, 68 of which will be lost when the lawn is fully restored. However, Minister for the Environment John Gormley’s spokesman said the decision to proceed with the project was not his responsibility. Details of seven low carbon housing schemes were announced by Minister for the Environment John Gormley today. The two- and three-bedroom houses are expected to cost residents less than €300 a year to run, according to Sustainable Energy Ireland. The A2 building energy rating of the houses should result in low heating and electricity prices. The local authority housing schemes are to be funded under a €20 million "towards zero carbon homes" programme. The costings for the seven projects were "very competitive" and indicate that the "leap to carbon neutral housing" can be made without impacting on the overall cost, Mr Gormley said. Mr Gormley made the announcement as he turned the sod on the Emerald Project in Ballymun, which is to be one of the most energy efficient housing projects ever built in Ireland. Developer Séamus Ross looks set to drop plans to convert Mount Hybla House in Castleknock, Dublin, into a boutique hotel and instead plans to turn it into a nursing home. Ross, via Menolly Homes, first sought permission to develop the restored Victorian house as an upmarket hotel in 2003. He is now planning to use the house itself for nursing home-related uses and to develop an additional 58-bed nursing home and crèche. The dispute at The Square in Tallaght has its origins in the decision by South Dublin County Council to grant the original developers a licence over the 18-acre car park at the shopping centre. This was done so that the council could develop some small areas of the car park, after what was dubbed a call-back, themselves. One of those call-back areas is where the Tuansgate office scheme was built by property adviser Sean Davin's company, Lowe Taverns Tallaght. The council granted him a licence to park cars in The Square's car park as part of the deal. When the owners of The Square tried to progress an expansion of the centre, Lowe Taverns objected because its licence was not just for spaces in front of Tuansgate – it allowed the cars be parked anywhere within the car park. Litigation followed and in 2002 Ms Justice Finlay Geoghegan deemed that the Lowe licence applied to the whole of the car park. As a result, the holder of the licence could block development of the shopping centre until they received appropriate compensation. Eventually, McFeely and O'Mahony paid €55m for Lowe Taverns Tallaght, and with it the licence, through a company called Aifca, which is now majority owned by Liam Carroll. Later, UCI cinemas came on the market. Smyth bought the cinema and its car-park licence for €52.75m even though Liam Carroll then issued proceedings in the C­ommercial Court against the Butlers, who were the vendors, but those proceedings were discontinued. Long-running disputes about shopping centres could become a thing of the past if the recommendations of the new retail planning guidelines for the Greater Dublin Area are implemented. "In planning for growth in town centres, planning authorities should allocate sufficient sites and expansion areas to meet the identified need; and where necessary use compulsory purchase [CPO] powers to bring forward important sites. Large town-centre schemes may require a longer period of time to assemble and this should be reflected both in the development plans and the development management process, allowing for longer planning permissions and greater floor areas, reflecting that they will be catering for demand beyond 2016," the retail strategy document for 2008-2016 states. Legal disputes have delayed the development of several major shopping centre sites in Dublin, notably The Square, which Mr Justice Peter Kelly has previously said in the High Court seems "to give rise to more litigation than any other piece of real estate". A long-running case taken by Noel Smyth's Redfern for €140m in damages against Tom McFeely, Larry O'Mahony, Liam Carroll and related companies began hearings in the High Court last week. Senior counsel Paul Sreenan, for Smyth and Redfern, said that Smyth tried to get South Dublin County Council to CPO the licence and "made submissions to the local authority to try to get them to do that, but they did not move on that". In May 2004, he had offered property adviser Sean Davin a total payment of €12m for his car-park licence (see panel), €5m of which was to be paid upfront, together with one-third of the profits of the development if he came into a joint venture for the further development of The Square. Davin declined, the court was told, saying that he felt the licence was worth €40m but later dropped the asking price to €36m. Agreement could not be reached however and Davin later sold the Tuansgate development and the car park licence to McFeely and O'Mahony for €55m. Sreenan suggested to the court "that it would probably be reasonable to estimate" that the Tuansgate scheme was worth up to €30m, suggesting the licence value was about €25m. Sreenan said later that Smyth "will still try to do something with The Square but if he is to do any development in the car park, the only opportunity he will ever have of doing that is that if the Lowe licence is CPO'd. He will certainly try to get it CPO'd but there is no guarantee it ever will be. But even if the Lowe licence was CPO'd and some development could be carried out, at best it would be a break-even development now." The Square is not the only shopping centre redevelopment to have been delayed by legal disputes. The site of what is now to be called Dublin Central on O'Connell Street has been subject to numerous legal disputes while a redevelopment of the main centre in Finglas village was also delayed due to a legal dispute. A SINGLE tier of local government consisting of no more than 22 county councils as well as the abolition of all regional authorities and town councils and a cut of €100 million in the Local Government Fund is recommended. The report proposes that all households be charged for water, initially at a flat rate pending installation of meters, saying this would “open up a new and sustainable source of revenue”. A single national authority for delivery of water services is recommended to replace county councils, with an ability to plan and manage supplies on the basis of river catchments – in line with the EU Water Framework Directive. The group recommends a freeze on commercial rates for at least three years “to alleviate pressure on business in the current economic climate”. This would reduce returns from the only independent source of revenue available to local authorities. Without mentioning a return of domestic rates, the report says alternative sources of income “should be explored”. There “should be rationalisation of the number of local authority structures, including regional, county and town structures, and local authority agencies, to take account of modern circumstances”. It recommends a move to a single tier of local government through abolition of regional authorities and town councils, and proposes a reduction in the 34 local county or city authorities, in the remaining single tier of local government, to a maximum of 22. It notes that housing is the largest item of expenditure in the Department of the Environment’s budget, and endorses the move away from construction of social housing in favour of leasing or buying already-built new homes. It calls for a review of selling existing local authority housing stock, saying “discounts for tenant purchase should be withdrawn”. THE GOVERNMENT has broken EU law by failing to conduct environmental impact assessments before allowing work to start on private road projects. The European Union’s highest court has also ruled that the Irish public is being denied its right under EU law to appeal against developments that could have a significant effect on the environment without facing prohibitive legal costs. In a judgment yesterday, the European Court of Justice said the practice whereby Irish courts could choose to waive legal costs for an unsuccessful party appealing on environmental grounds did not conform to European law. The court said it “is merely a discretionary practice on the part of the courts” and could not be regarded as “valid implementation of the obligations arising from” EU directives dating from 1985 and 2003. The EU directives set out that the procedures established by governments for appealing projects on the basis that they may have a significant effect on the environment should not be “prohibitively expensive”. They form part of a series of EU laws passed over the past three decades aimed at giving the public more rights to participate in the planning project for developments. The ruling from the European Court of Justice could prompt a major reform of Irish law regarding the financing of planning appeals on environmental grounds. A spokesman for Minister for the Environment John Gormley said he welcomed the clarification given by the court. The Government said the first part of the judgment, related to not conducting environmental impact assessments before work began on private road projects, had been addressed by the Government. It has also pledged to try to address a third complaint upheld by the European Court of Justice against a lack of public participation in the planning consent processes handled by agencies such as the Office of Public Works and the Department of Agriculture. The court found that there were not adequate opportunities for the public to appeal certain types of projects handled by these departments. It found this was contrary to EU law. However, the European Commission, which took the case against Ireland, was not successful in arguing several other points where it felt the Government had not properly transposed EU directives into national law. For this reason the court ruled that the commission and the Government should bear their own costs in the case. NEW PROTECTIONS for the Tara-Skryne Valley, which would prevent the construction of retail parks and superstores along the route of the M3, have been announced by Minister for the Environment John Gormley. Mr Gormley said he could not prevent the construction of the motorway near the Hill of Tara, which continues to be the subject of protests by environmental and heritage groups, but he could protect the landscape to prevent inappropriate development. The plans for the designation, which has been allocated €50,000 funding from the Department of the Environment and the Heritage Council, will have to be submitted for public consultation and agreed by Meath county councillors before the designation is confirmed. It is likely that the protection will be in place by the middle of next year. Mr Gormley said he also intended to increase the protection for national monuments in the new National Monument’s Act, which is currently at draft stage. THE OPERATION of drinking water treatment plants should be taken away from local authorities and outsourced to private companies because of repeated failures to provide safe water, the ESRI says. The economic think-tank has called for a national authority to be established to take responsibility for providing water which meets EU safety standards. Using data from the Environmental Protection Agency, the ESRI says that at least one water supply in all Irish cities and counties failed to meet EU standards in 2007. It also notes that more than 5pc of the population had their drinking water polluted with manganese, iron, lead or aluminium, and that the percentage of people suffering from biological contamination, including e-coli, is "even larger". "At first sight, these results are alarming," it says. The 'Drinking Water Quality' bulletin published yesterday says that in 2007, the most recent year for which data is available, water quality was not much better than in 2006. In 2006, 88pc of people had something wrong with their water and in 2007 this was 85pc. Many sources that reported a problem in 2006 continued to report the same problem in 2007. "Maintaining drinking water quality requires particular skills and expertise as well as resources. Given the results set out above, it is questionable whether the existing system, with the local authorities at the centre, is equipped to guarantee drinking water quality," the report says. It adds that in some counties, the number of people using local supplies do not justify employing a full-time expert to operate plants, and that the civil service "does not offer a career perspective" for specialists. While local authorities should remain responsible for ensuring safety standards are met, the operation of the plants should be outsourced to specialist companies. "These problems can be addressed. For example, county councils could outsource the operation of drinking water facilities to specialised companies or responsibility for water services could be transferred to a single national authority." The City and County Managers Association rejected claims there was no career path for specialists, adding that a "wide range" of approaches were used to manage water infrastructure. It added there was a need for continued investment to ensure standards were maintained. TOURISM EXECUTIVES in the northwest yesterday welcomed the announcement that Lissadell House, the ancestral home of 1916 leader Countess Markievicz, is to reopen to the public on a temporary basis from tomorrow. The historic Co Sligo house has been closed for six months because of a dispute over rights of way. A High Court hearing on the issue is due to open on October 20th and is expected to last up to two weeks. Isobel Cassidy, manager of the estate, said yesterday that the long-term future of the house depended on the outcome of the hearing. Pascal Mooney, chairman of North West Tourism, and the mayor of Sligo, Cllr Jim McGarry, were among those who yesterday welcomed the announcement that the house and gardens, which attracted 44,000 visitors last year, will be open to the public from July 17th to September 20th next. The mayor recently said huge numbers of visitors were turning up to find closed signs on the locked gates at Lissadell. The reopening comes just a week before the opening of the 50th Yeats International Summer School. Mr Mooney pointed out that Lissadell was an important landmark on the Yeats Trail, launched in Sligo earlier this year by Nobel laureate Seamus Heaney to mark the 70th anniversary of the poet’s death. In a statement yesterday, owners Constance Cassidy and Edward Walsh said they had made the decision to reopen for “a limited period” after discussions with the mayor and local Fine Gael TD John Perry, who had expressed concern about the damage being done to tourism in Sligo and to local businesses as a result of the closure. “Following discussions with Deputy Perry and Cllr McGarry, and having regard to our pre-existing contractual commitments for this year, we have agreed to open Lissadell to the public on a limited basis for a limited period,” they said. It is understood that Lissadell is registered with the Revenue Commissioners as a heritage house. Under section 42 of the Finance Bill such properties can avail of tax relief for expenditure on repair and maintenance work but are required to open to the public for 60 days annually, including 40 days from May to September. But Isabel Cassidy said yesterday that the decision to open had been prompted by the fact that a date had been set for the court hearing and also by the concerns of Mr Perry and the mayor about the impact of the closure to many businesses in Sligo. She said the family was also anxious to “keep the place alive” in the event that it will be reopening on a permanent basis. “The future of Lissadell depends on the case,” she added. Ms Cassidy said that since it closed to the public “the place is very sad” but she said that already following the announcement, there was a “great buzz around”. Mr McGarry recently pointed out that the owners, who purchased the estate from the Gore Booth family, had invested €12 million in it and had employed 34 full-time and part-time staff. The family said yesterday that a unanimous motion passed by Sligo County Council last December “in which they sought to declare all of the avenues within Lissadell to be subject to public rights of way” had rendered it incapable of being operated as a flagship tourism facility. Sligo County Council said it would be making no comment on the decision to reopen given that the matter is sub judice. AN ORDER to ban HGVs going through an accident blackspot near the village of Slane will be difficult to implement, the Meath county manager has admitted. Meath councillors voted earlier this year to ban HGVs going through Slane because of the dangerous and steep incline from the bridge on the N2 into the village. A total of 22 people have died on the stretch in the last 30 years. County manager Tom Dowling told the Oireachtas Committee on Transport yesterday that a ban might lead to problems elsewhere, with HGVs using roads not built to carry them. He told committee members and local residents that a ban was “not a black and white issue”, and that the only real solution was a village bypass, which is currently in the planning stages. He said the council was “deeply concerned” a HGV ban would create problems for residents elsewhere. “Yes, we can do it. Yes, the law allows us to do it, but we have just got to find a way,” he said. Fine Gael TD Fergus O’Dowd suggested to Mr Dowling that he had to implement the ban. “You don’t have a choice,” he said. Meath East TD Thomas Byrne (FF) suggested to Mr Dowling he could bring in the ban with a “stroke of your biro”, and that he, an elected representative, would not allow objections from other residents to a Slane HGV ban. Fellow Meath East TD Shane McEntee (FG) said the stretch of road was the “worst accident blackspot in Europe”. He told officials from the National Roads Authority (NRA) and Mr Dowling they had a responsibility to provide a safe road. NRA chief executive Fred Barry said it was working closely with Meath County Council on drawing up plans for a bypass, but such a bypass was proving to be challenging because of the special cultural heritage of the area. Slane residents spokesman John Ryle said the response of the authorities had been very disappointing. “Either they know how serious the situation is and they really don’t care, in which case they are in gross neglect of their responsibilities, or they do not, in fact, understand the extreme urgency of the situation,” he said. A COMPANY involving solicitor and developer Noel Smyth lost out on huge profits from the proposed redevelopment of The Square shopping centre in Tallaght due to the conduct of three other developers, the Commercial Court was told yesterday. The 18-acre site at The Square alone was valued at some €375 million in April 2004 without any redevelopment having taken place and it was also estimated in 2004 there could be a €413 million net profit from redevelopment, Paul Sreenan SC, for Redfern Ltd, Mr Smyth’s company, said. Mr Sreenan said documents indicated Bank of Scotland Ireland had in early 2006 believed the profits from the redevelopment would be some €316 million for Redfern and another €240 million for Aifca Ltd, a company formerly controlled by developers Larry O’Mahony and Thomas McFeely but now controlled by developer Liam Carroll. Mr Smyth was an experienced developer and had adopted a more conservative approach to profitability, believing the bulk of profits would come from a planned phase four development, Mr Sreenan said. As a result of the actions of Mr O’Mahony, Mr McFeely and Mr Carroll, Redfern’s interest was now “valueless” and it is entitled to aggravated and exemplary damages of more than €140 million from them as there was now no prospect of carrying out the development as originally planned, counsel said. While Mr Smyth still hoped to go ahead with some development, the most he could hope for in the current economic climate was to break even, counsel added. Redfern’s €140 million claim includes general damages of more than €130 million, including for €32.7 million for Redfern’s lost profit share; €21.2 million in lost project management fees and €42 million for loss of rental value. It is also claiming special damages of more than €8.7 million allegedly incurred through wasted costs and time on progressing a planned joint venture with Mr O’Mahony and Mr McFeely. Redfern claims that joint venture never proceeded because Mr O’Mahony and Mr McFeely instead did a deal behind Redfern’s back with Mr Carroll, owner of a rival development in Tallaght. Mr Sreenan said it was clear from documents discovered for the legal action that, while Mr O’Mahony and Mr McFeely were in negotiations with Mr Smyth about a joint venture development of The Square, they were also in contact with Mr Carroll who was being kept informed of developments. Counsel was continuing his opening of the action in which Redfern alleges Mr O’Mahony and Mr McFeely broke a deal with Redfern of August 4th, 2005 for redevelopment of The Square and “double dealt” with Mr Carroll. The case before Mr Justice Brian McGovern is expected to last eight weeks. Redfern claims it was in a key position to develop The Square but needed control of the Lowe licence, required to secure access to large areas of the shopping centre. THREE PROMINENT developers – Larry O’Mahony, Thomas McFeely and Liam Carroll – are being sued for €140 million in damages at the Commercial Court over alleged involvement in secret deals related to a planned €300 million development at The Square centre in Tallaght. “The story is not a pretty one,” Paul Sreenan SC, for Redfern Ltd, said when opening its action before Mr Justice Brian McGovern yesterday. Redfern is a company involving prominent solicitor and developer Noel Smyth, which alleges Mr O’Mahony and Mr McFeely broke a binding agreement with it for the proposed Tallaght development by, unknown to Redfern, entering a secret deal with Mr Carroll, who had a rival development in Tallaght. Mr Sreenan said Mr O’Mahony and Mr McFeely had broken the deal with Redfern of August 4th, 2005, and “double dealt” with Mr Carroll. Counsel said Mr Carroll had, in one stroke, sabotaged the entire joint venture project. Mr Carroll’s insistence on his name being kept secret was almost pathological, counsel added. There was now “nil prospect” of developing as planned given the financial difficulties of Mr O’Mahony and Mr McFeely and the economic climate, and his client was entitled to substantial damages, Mr Sreenan said. Redfern, following agreements with Square Management Ltd, had been in a key position to develop The Square centre some years ago but the “missing piece of the jigsaw” related to securing ownership of what was known as the Lowe licence, required to secure access to large areas of the shopping centre, counsel said. Mr Smyth had spent two years seeking to buy the Lowe licence from businessman Seán Davin, the original owner of Lowe Taverns Ltd, but believed Mr Davin was seeking too much: €36-40 million. Counsel said Mr Smyth learned in March 2005 Mr McFeely and Mr O’Mahony had bought the Lowe licence from Mr Davin for €55 million, with finance from Bank of Scotland Ireland, and held that interest through a company, Aifca Ltd. After “torturous” negotiations brokered by former trade union leader Phil Flynn, who was acting for Mr O’Mahony and Mr McFeely, counsel said a binding agreement was signed with Redfern in August 2005, essentially involving the disposal of the Lowe interest to Alburn, a subsidiary of Redfern, and a joint venture development of the centre. It is alleged that, while Mr Smyth was progressing the development, Mr O’Mahony and Mr McFeely brokered another deal behind his back with Mr Carroll, causing Aifca’s shares in Lowe to be transferred to Tafica Ltd, a company controlled by Mr Carroll. “They kept this deal secret for quite some time,” counsel said, adding the details had emerged only after defences were filed in this case. It is claimed an implied term of the agreement meant none of the sides would do anything to hinder or prevent the due completion of the agreement, and therefore Mr O’Mahony and Mr McFeely were not entitled to dilute or assign their ownership or control of Aifca. Mr Carroll had also unlawfully interfered in another man’s contract, it is alleged. The defendants deny the claims and in separate defences have alleged Redfern failed to complete the August 2005 agreement which caused serious financial difficulties for Mr O’Mahony and Mr McFeely, resulting in their reaching an agreement with Mr Carroll so as to refinance their borrowings. Mr Carroll and his companies also deny they have any liability under the August 2005 agreement, as they were not party to it. The proceedings were initiated in July 2007 by Redfern, with registered offices in St Helier, Jersey, against Mr O’Mahony, Shrewsbury Road, Ballsbridge, Dublin; and Mr McFeely, Ailesbury Road, Dublin. Mr Carroll, of Sycamore Road, Mount Merrion, Co Dublin; Tafica Ltd, Chapel House, Parnell Street, Dublin; and Aifca Ltd, Upper Mount Street, Dublin, were later also joined as defendants. Redfern claims Mr Carroll, Tafica and Aifca Ltd knew or must have known of the existence of the August 2005 agreement, and acted with the intention of interfering with due performance of that agreement and/or inducing Mr O’Mahony and Mr McFeely to breach it. Redfern claims it is the sole beneficial shareholder in Alburn, and, prior to the August 2005 agreement, Mr O’Mahony and Mr McFeely controlled Lowe Taverns (Tallaght) Ltd through their shareholding in Aifca Ltd. It claims the agreement provided for the sale of Lowe to Alburn in exchange for Redfern’s issue of shares in Alburn to Mr O’Mahony and Mr McFeely. Redfern claims it, with the consent of the Mr O’Mahony and Mr McFeely, secured planning permission for development of phase III of The Square, valued at more than €300 million. That proposed development, expected to be completed by August 2008, was for 1.3 million square feet of mixed-use development.